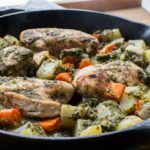 Cast Iron Chicken With Mint Chutney - Full Meal With Vegetables! 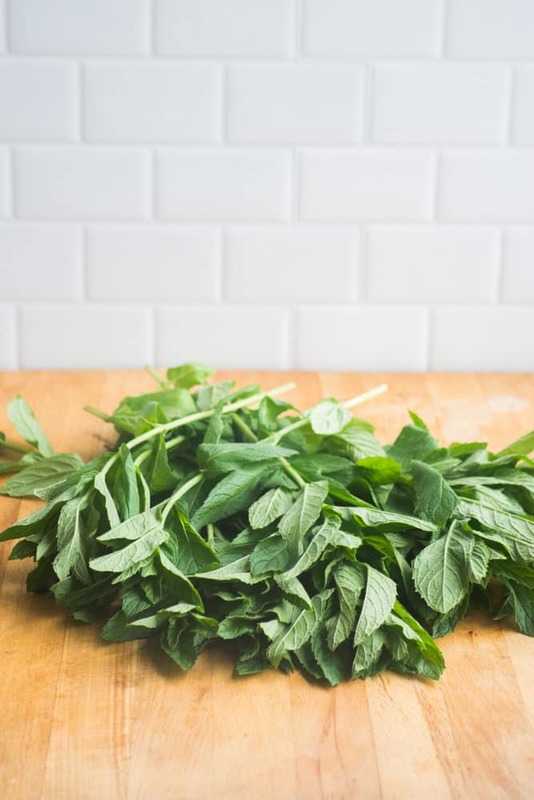 This mint chutney recipe doesn’t require cilantro, we’re letting the mint shine in it. 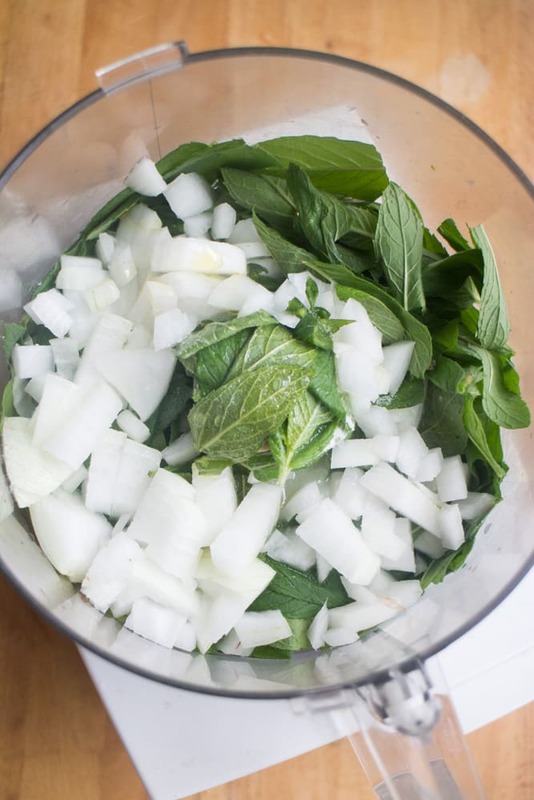 To make the chutney we’re going to need mint, onion, jalapeno pepper, lemon juice, sugar, olive oil, salt and water. Can we talk about jalapeno peppers real quick? Your jalapeno plant in the garden will probably produce way too many peppers for you to enjoy! 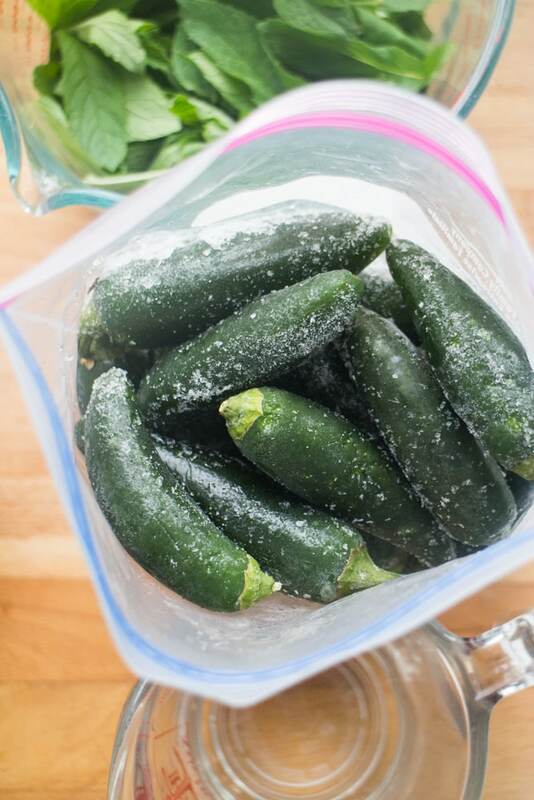 Yes, you should make candied jalapenos, but you can also easily freeze the peppers whole! All you do is throw them in a freezer bag and pop them into the freezer – then you’ll have a jalapeno pepper whenever you need one! 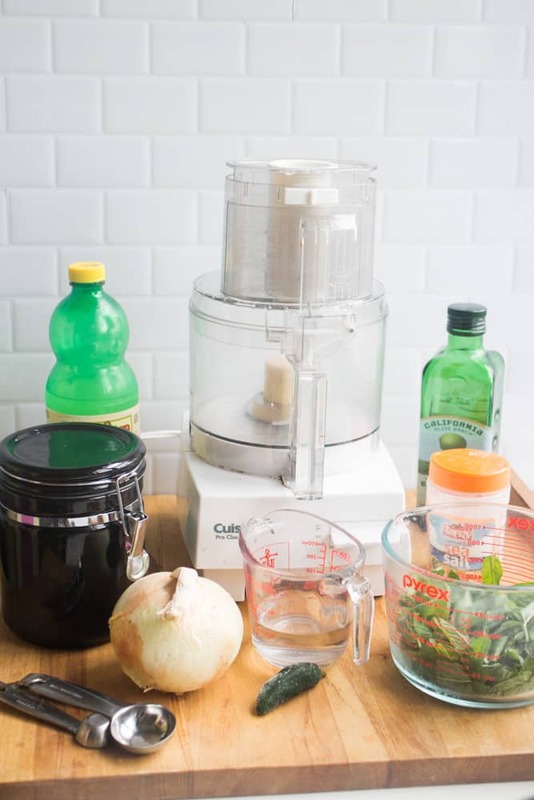 Add all your ingredients into your food processor and give it a full pulses until everything is completely chopped up. This is the consistency we’re after after a full pulses. The onion and pepper should be almost completely chopped up. 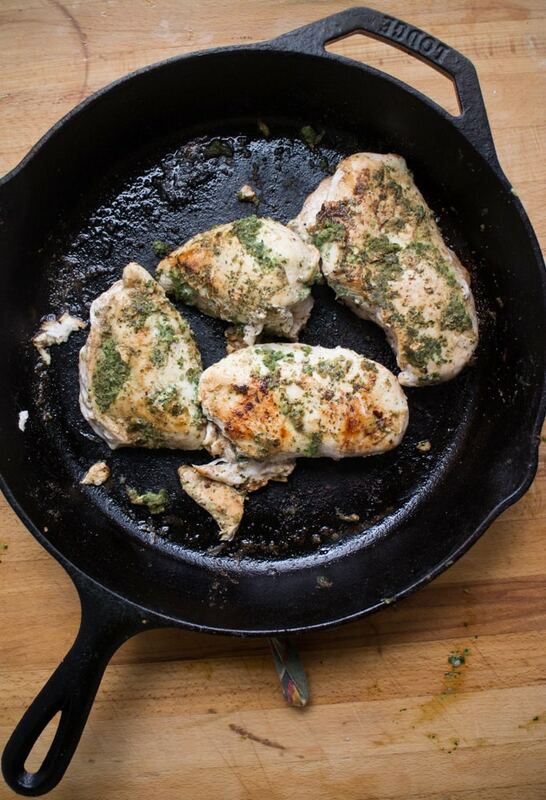 Add 2 pounds of boneless chicken breasts into your cast iron skillet. Add about 1/4 of the mint chutney on top of the chicken, spreading it around. 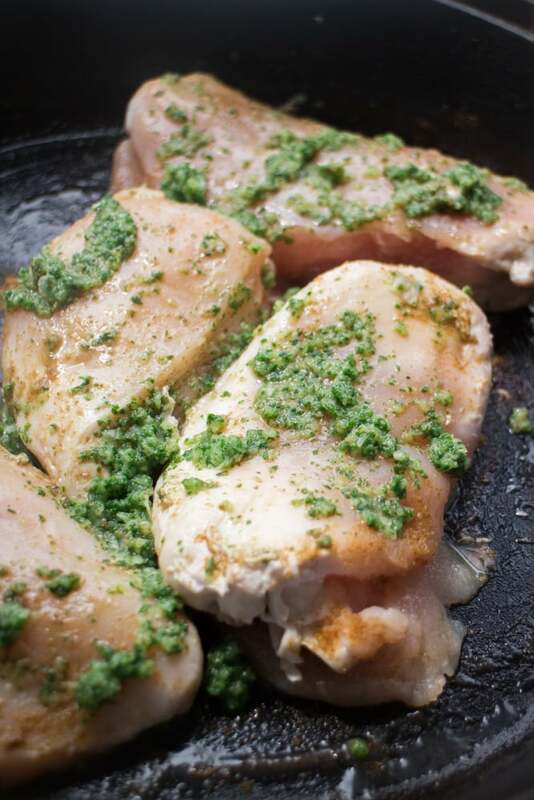 Fry your chicken breasts until they’re golden brown on both sides, this usually takes about 10 minutes. While you’re doing this preheat your oven. Now chop up your vegetables we’re going to use to make this a 1 pan meal. Chop up potatoes, carrots and onions and pour a little bit of olive oil on top. Using your hands (or a spoon!) mix them around so the olive oil coats all the veggies. 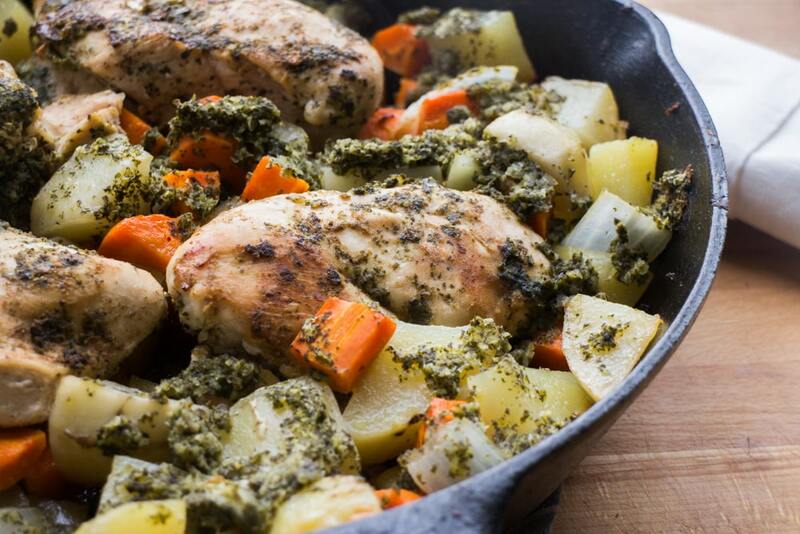 Spread all the vegetables in and around the chicken in the cast iron skillet. Then add the rest of the mint chutney on top! Isn’t this dish already looking beautiful? Now bake this dish for 45 minutes with aluminum foil on and 15 more minutes with no foil. This is the perfect time that will leave the vegetables tender! No, seriously, your potatoes will be perfect! Look at how this fork just slides through them! 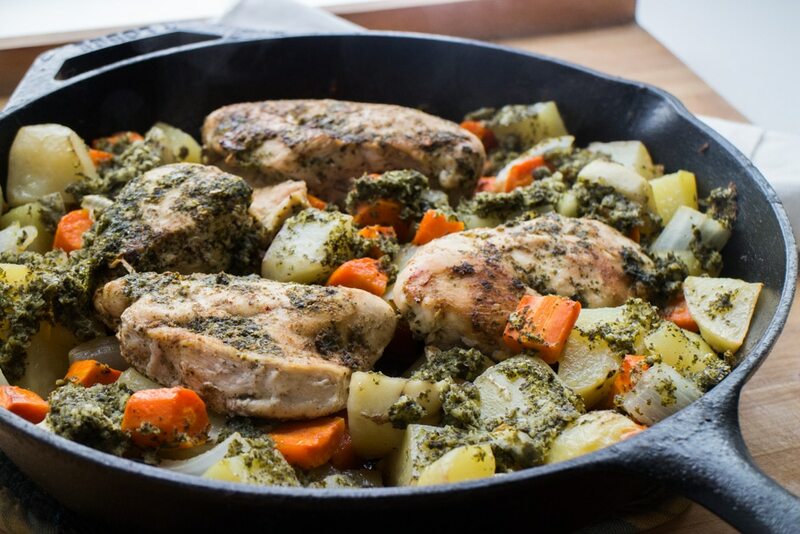 And now here’s the best part, time to eat this Cast Iron Chicken With Mint Chutney! 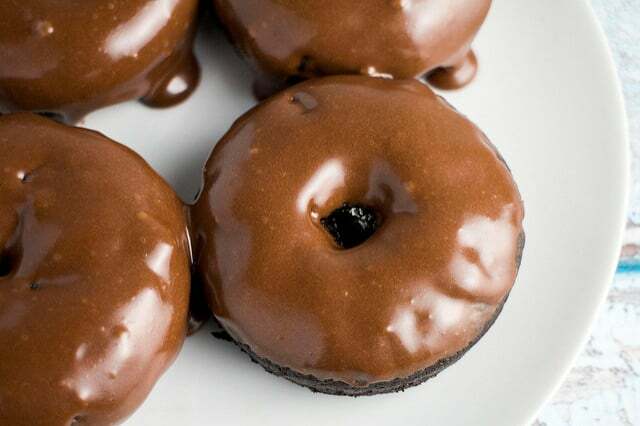 I love this recipe because it’s a “all in one” – no need to make anything else! 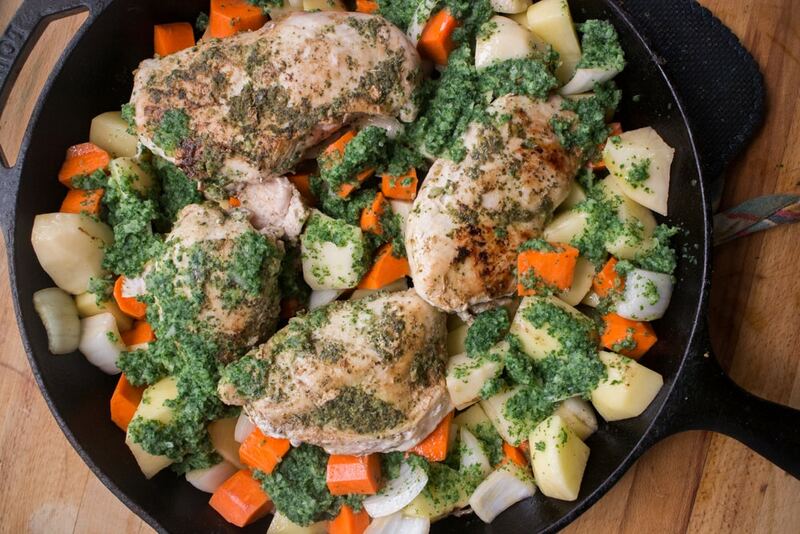 Cast Iron Chicken With Mint Chutney - this is a full meal recipe with vegetables! This dinner dish uses fresh mint on baked chicken breasts, along with carrots, potatoes and onions! 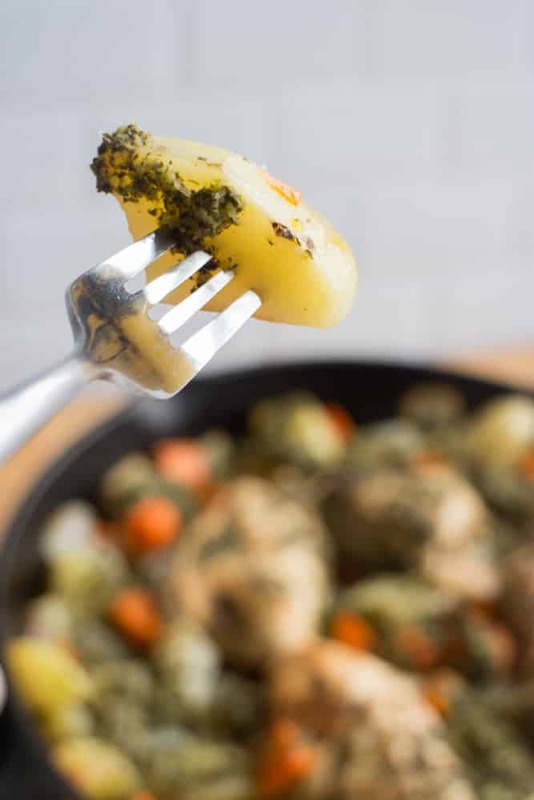 Your entire family will love this healthy one skillet pan meal! 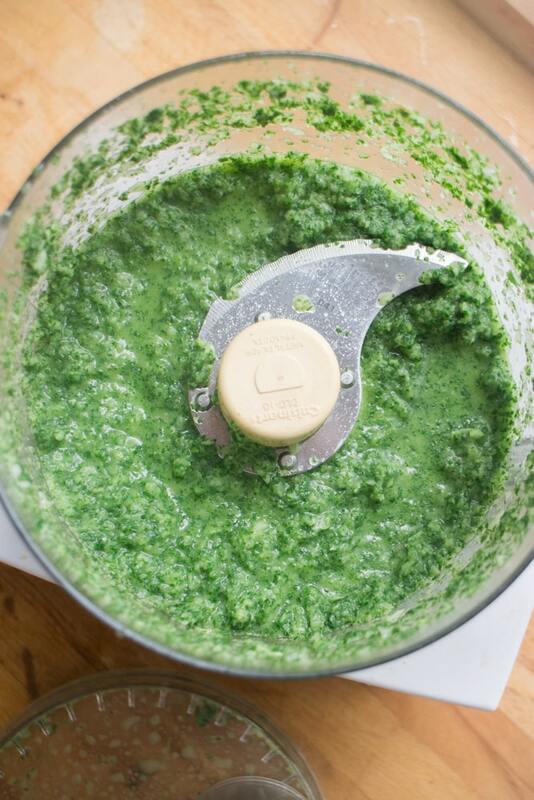 To create the mint chutney add all the mint chutney ingredients into a food processor. Pulse until onion and pepper are chopped up and chutney is thick. Lightly grease a cast iron skillet. Add chicken breast into skillet and sprinkle cumin and salt on all of them, both sides. Add 1/4 of the mint chutney on top of chicken, spreading it around. 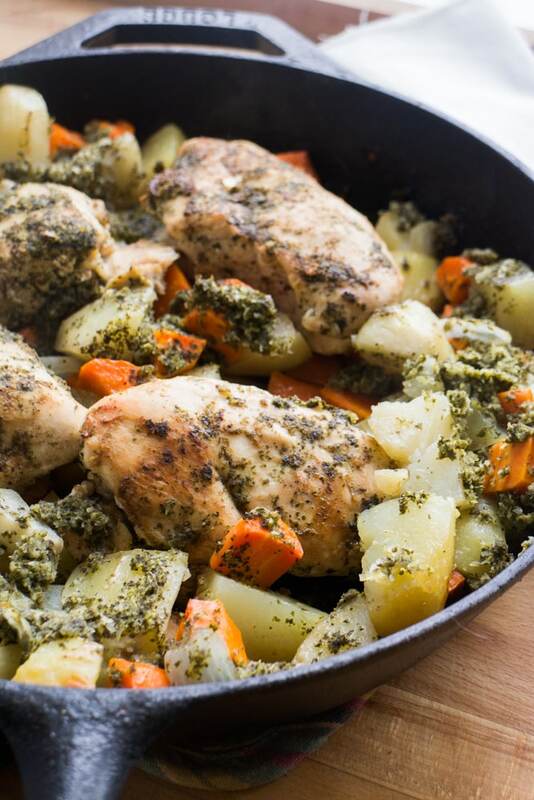 Heat the cast iron pan over medium high heat until chicken is browned on both sides, about 10 minutes. 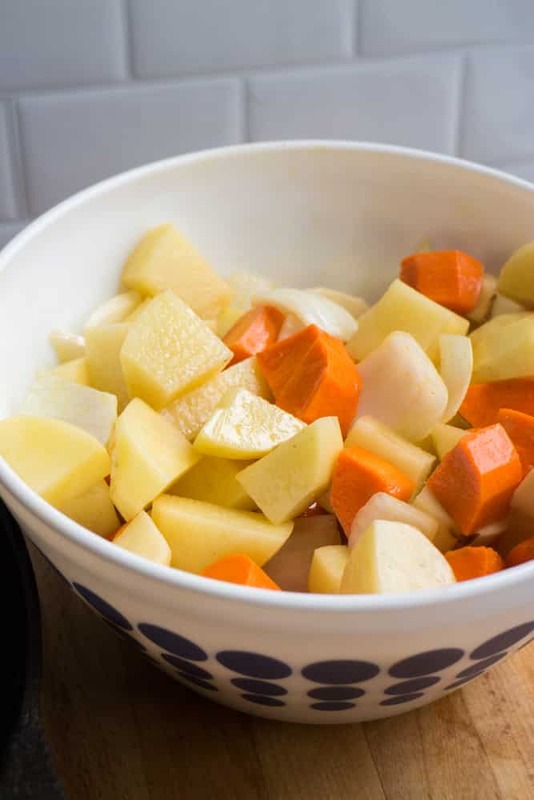 Add carrots, onion and potatoes to a large bowl and toss with olive oil to lightly coat them. 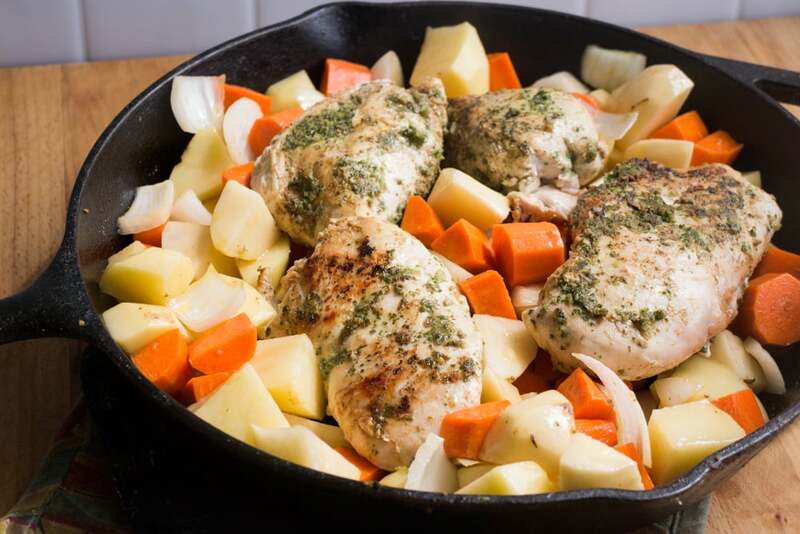 Remove cast iron skillet from heat and add chopped up carrots, onions and potatoes into the pan. Add remaining 3/4 of the mint chutney on top of vegetables. Cover with aluminum foil and bake for 45 minutes. Remove the foil and bake for additional 15 minutes.